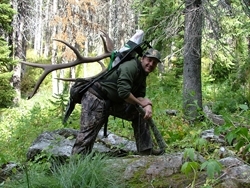 Do It Yourself Elk Hunting in Back Country Wilderness Are a Demanding Adventure! Do It Yourself Elk Hunting? Are You Prepared and Up to the Challenge? Do it yourself elk hunting (DIY) in the wilderness is a rich experience if you have the equipment, endurance and back-country savvy necessary. Wilderness back pack (“light camp”) hunting can be deeply rewarding, but when darkness falls and the temperature drops it tends to separate the men from the boys. In an unforgiving and potentially harsh environment, everything you have to keep you safe, healthy and comfortable is carefully measured in ounces, and is strategically crammed into a pack on your back. Those ounces are all that stand between you and the harshness of a cold mountain rain, wind or snow storm. 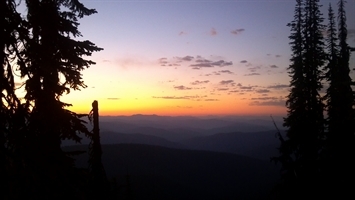 If you are considering a BackCountry hunt with your camp on your back, don't miss our series of pages about BackCountry hunting. Plan carefully before embarking on do it yourself elk hunting in the back country wilderness where medical and rescue services are slow in coming and may be impossible to summon. Click here for hunter fitness preparation. Sometimes wilderness light camp hunts are done while carrying everything with you while you hunt. Doing this requires that you be fit enough to pull a bow or hold a rifle steady with 40 to 60 pounds of gear balanced on your hips and shoulders, even after spending all day carrying the weight. Sometimes these hunters will hike in, set up a spike camp and day hunt out from there, perhaps adjusting camp locations when the elk move or beckon from a distant mountain. If you find a bull or two that you want to follow, you’re free to do that. If they move over the ridge and into the next drainage at 4:00 in the afternoon, over the ridge you go. When it gets dark, you find a flat spot to call camp, eat some food and get some rest, then go back at them in the morning. During archery season you might be camped close enough to hear them bugle through the night. It is paramount that you be fit and know your physical and emotional limitations (we all have them) before embarking on several days of do it yourself elk hunting, hauling your livelihood on your back in potentially harsh conditions. Make sure you thoroughly prepare your own body for the incredible strain that you will put on it. You are highly advised to walk yourself mentally through the potentially harsh conditions you will face. Feel the pain, the loneliness, the fatigue and the stress. Try to see how you will react emotionally to an extended “vacation” from civilization. If you’re up to it, go for it! Each trek will make you a different person! You Will Not Come Out Unscathed! In one way or another, you will become injured or sore. 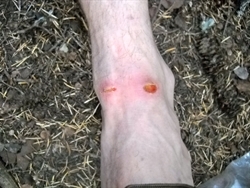 Maybe just a blister or three. Maybe a sore hip, a lost toenail or much worse. Somethingwill start to hurt at some point and make you ask yourself, “what am I doing here?”. Barring a painful injury, you'll soon hear an elk bugle or see sign and remember your mission! Do it yourself elk hunting is an endurance test. You don’t want to "fail" the test so far from help. See our discussion of physical preparation of your body for hunting. You can limit the potential for injury and discomfort greatly, if you know how. Be sure to check out the experienced discussions in our BackCountry Hunting pages here. What if You Kill an Elk? If you succeed at killing an elk, you not only have to haul out your equipment, but now you have meat and head to carry out. You will have to make a trip to your vehicle to lighten up. Then you may have to return multiple times to extract your quarry. Some do it yourself wilderness hunters take the added risk and heightened adventure of going it all alone, but after a kill far from roads it might be a good time to call up some friends and share some meat. It might be a good idea to prearrange someone with horses to agree to stand ready to help haul out your meat. The owner of the horses must be willing to be at your disposal when you call. In some areas, local ranches provide this service for a reasonable fee. With enough time, strength and energy a person can reasonably expect to bone out the meat and carry it out on a pack by himself or with the help of a friend. I've hauled a few out on my back and I weigh less than 140 pounds. See details on packing meat out of the woods. If you have horses that are up to hauling camp and elk meat, you can do complete “heavy camp” do it yourself elk hunting. 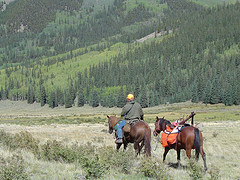 But read our section on do it yourself elk hunting with horses before doing this for the first time. Not every horse will haul gear. Even fewer will pack meat safely. 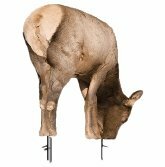 A horse that you have done day trips on may be unpredictable under the demanding circumstances of do it yourself elk hunting trips. Any horse can cause all kinds of trouble when they get the itch to think for themselves and rebel against your plans. You will be at their mercy once you get miles from the trailer. Losing control of a horse may mean losing your gear when you are dependent on it for safety and survival. Learn From a Guide First? That brings us right back to the idea of using an elk guide at least once. Even if you have horses, if you aren't familiar with the commitment of extended overnighters with them, or with the necessary tack and equipment, learn from watching some good elk outfitters before jumping into the expense and risk of an extended do it yourself hunt. 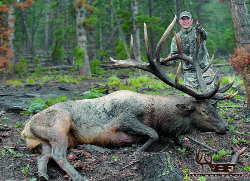 Licensed elk hunting outfitters are indeed the highly experienced, trained experts. Consider hiring the services of a reputable elk hunting guide at least once. The learning experience will be well worth the money. 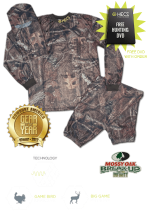 Advanced Whitetail Hunting - Helping Hunters in their pursuit of Trophy Whitetails with info on Food Plots, Mineral Licks, Compound Bows, State Hunting News, and much more.